**This image is for use with this specific article only** Steve Moore's chances of making it onto the Federal Reserve Board aren't looking so hot right now -- amid a previously unreported tax lien and a series of controversial writings about women and sports. Brett Kavanaugh is returning to teaching law, joining the faculty of George Mason University's law school as a visiting professor. 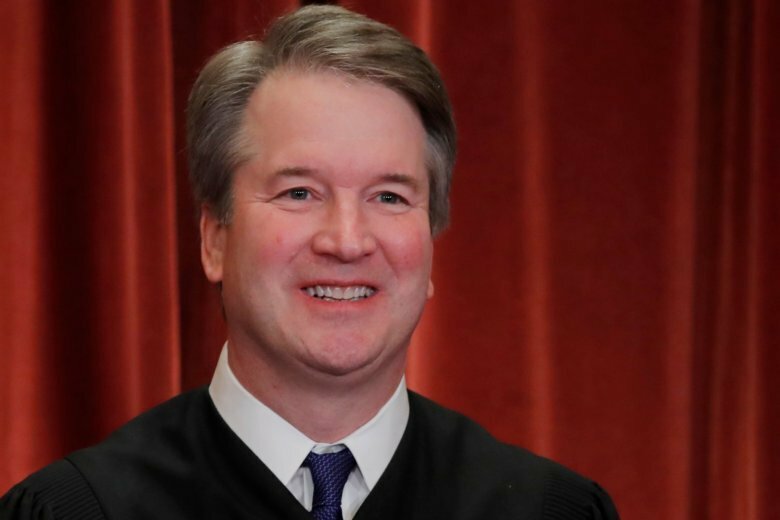 Supreme Court Justice Brett Kavanaugh is returning to teaching law, joining the faculty of George Mason University’s law school as a visiting professor. The Antonin Scalia Law School announced Saturday that Kavanaugh will co-teach a course this summer on the “origins and creation of the US Constitution” in Runnymede, England. Sitting Supreme Court justices often teach courses affiliated with universities during the summer months. “It is a rare opportunity for students to learn from a U.S. Supreme Court Justice, and we believe that contributes to making our law program uniquely valuable for our students,” the school said. Kavanaugh’s hiring was first reported by the school’s newspaper, Fourth Estate. Before joining the Supreme Court, Kavanaugh taught at Harvard Law School for more than a decade.